Diploma mills, also known as degree mills, are bogus universities that essentially sell college diplomas – the piece of paper itself rather than the educational experience. Degree mills are big business, bilking consumers out of half a billion dollars a year. This article addresses how to spot and avoid these educational scams online. What is a Diploma Mill? Thousands of people do so, every day. Some know what they are doing, but an escalating number are being duped by fake “colleges” which operate very sophisticated scams. Institutions that sell fake educational credentials—also known as degree mills or diploma mills—are on the rise. They prey on consumer ignorance about opaque terms like accreditation and licensing. Diploma mills, also known as degree mills, are bogus universities that essentially sell college diplomas – the piece of paper itself rather than the educational experience. Diploma mills literally crank out paper diplomas to anyone who pays the requested “tuition” amount – generally a lump sum of about $2,000, though sometimes much more. Diploma mills have existed for decades. They employ high-pressure sales forces who specialize in aggressive telephone and email tactics. Some diploma mills have operating for decades. They avoid prosecution by changing their state of operation, by changing their name, or by locating themselves in states or foreign countries with the lamest educational laws. The American public has historically trusted higher education carte blanche. It never occurs to most people to question a college. This lack of questioning has encouraged fraud. People should question colleges. According to Signal Hill, a Wall Street investment banking firm that follows the U.S. higher education industry, education is a $900 billion market—second only to healthcare (when measured as a percentage of Gross Domestic Product). In other words, there exists tremendous financial incentive for for-profit players to enter if not dominate the field of higher education. As profit replaces public good (the historical goal of non-profit enterprises) corruption becomes inevitable. Blind public trust of higher education, combined with unfiltered global advertising opportunities via the Internet, have combined to create a perfect storm that has allowed fake online colleges and universities to proliferate and profit at rates even cockroaches would envy. Diploma mills cast an ominous shadow on the field of distance learning. The selling of unearned degrees is a part of what UNESCO’s International Institute for Educational Planning refers to as “an epidemic of corruption worldwide” in higher education. While most think of educational corruption as associated with developing countries, UNESCO has identified the U.S. as ground zero for educational fraud, largely because of the Internet education scene. The United States has no national or federal requirement that a college be accredited by a recognized agency; this fact has turned the U.S. into Education Scam Central. American diploma mills specialize in using the Internet to export fake credentials to a global marketplace desperate for higher education access. Degree mills are not a new phenomenon. During the latter part of the 19th century, the value of the degree increased substantially, as evidenced by the passage of the Morrill Land Grant Act and the founding of many new colleges. This created a market for degrees, and fraudulent providers moved into the market to meet the demand. The first documented reference to degree mills was in 1876 when John Eaton , a United States Commissioner of Education, called them a disgrace to American education. In the U.S. over the last four decades, the sheer number of those in the workforce who hold college degrees has continued to spiral. According to the National Center for Education Statistics, in 1964 less than 10 percent of the population held bachelor degrees; by 2004 that number had spiked to 30 percent. In 2008 it is expected that more than 70 percent of high school graduates will seek admission to some sort of college or university system. Americans are literally storming the doors of academia. As the workforce has become better educated, employers have become more selective. Many employers now expect applicants to hold a college degree, even for entry level positions. In many professional careers, such as teaching, business, nursing, psychology, and library science, the master’s degree is now considered a near-requirement. At the same time, the cost of a college degree has escalated at inflationary rates that surpass precious metals. According to the College Board, in 2007 to 2008, the average sticker price for a bachelors degree is $25,000 at a public school and $95,000 at a private school. A college degree is the second most expensive purchase most people will make in their lifetime – second only to the purchase of their home. Without a degree, careers remain stalled, wages low. For these reasons, the sale of bogus degrees has become big business. If not having a college degree means one cannot qualify for career entry, then $2,000 seems a small price to pay to acquire the semblance of an educational pedigree. In short, Americans are being tempted by cheap and fast college degrees (or the appearance thereof) and they are succumbing in droves. Are degree mills really such a problem? Most assumed not—until 2003, when the U.S. Government Office of Accountability undertook the first study of government workers who used federal tuition aid programs to obtain academic credentials. That study, “Diploma Mills Are Easily Created and Some Have Issued Bogus Degrees to Federal Employees at Government Expense (PDF),” revealed an epidemic of false credentialing. The congressional investigation uncovered 400 government employees, including upper-echelon managers, who had purchased fake degrees using government tuition assistance programs or who had listed bogus colleges on their job applications. The fakers held positions as high (and as frightening) as top security clearance nuclear scientists. The list included doctors, lawyers and engineers. In its special 2004 report on college degree mills, the Chronicle of Higher Education estimated that the market for fake degrees stood at about half a billion dollars. Lasalle University, a Mississippi pioneer of the college-degree-by-mail era, operated from 1989 to 1996, and, according to a 2004 report in the Times Picayune, cleared more than $36 million. Monthly income stood at an astounding $900,000 at the time the operation was shuttered by federal agents. “There are now more fake online MBA programs in the U.S. than real ones,” says Vicky Phillips, founder of GetEducated.com, a Web site that evaluates accredited online degree programs and educates consumers about them. According to GetEducated.com’s 2008 National Survey of Accredited Online MBA Programs, 168 accredited business schools offer distance MBAs—on the other hand, 212 fake colleges sell this very same degree. In 2004, when questions about degree mills and the credibility of online colleges became the number one consumer complaint fielded at GetEducated, the advocacy launched a free service, The Diploma Mill Police. 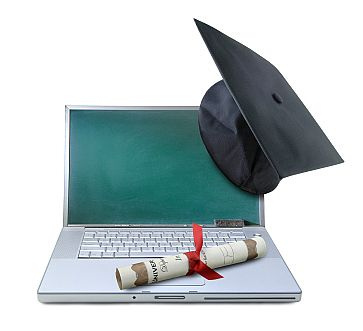 The Diploma Mill Police provides a trustworthy database and resource center on online degree mills and educational fraud. By mid-2008, GetEducated.com archived information on more that 300 fake online colleges operating in the United States alone. The free service has responded to as many as 98 queries about college credibility in a single day. UPDATE: In March, 2009, CNN’s Your Bottom Line reported about online education, including diploma mills, and demonstrated how the GetEducated.com’s Diploma Mill Police operates. Watch the report here. Unlike most countries, the U.S. federal government does not require that a college be accredited. There exists no single federal agency that has the power to enforce colleges to undergo a quality review for the purpose of accreditation or consumer protection. In many states the term “college” or “university” is not legally restricted. This means that virtually anyone might legally declare himself or herself “a university” and begin issuing degrees overnight. The Council on Higher Education Accreditation and the U.S. Department of Education both approve and recognize valid college accreditors, but neither agency can force a “college” to undergo an accreditation or quality review. The U.S. has been content to leave the question of regulating educational providers to each state. This means that fifty different states can—and do—have differing laws regulating the higher education industry. Sadly, this is a true statement. Many degree mills are actually “licensed” by their home state to engage in business. Consumers hear the words “state licensed,” and trust that the college must be valid. What diploma mills don’t tell students is that licensing is not the same as accreditation. Consumers easily confuse the two terms. Degree mills prey on this confusion. In fact, many consumers seem to prefer the term “licensed” over the term “accredited” because so many professionals must be “licensed” these days. Licensing is a term they can relate to; accreditation, on the other hand, remains an opaque concept that the accreditors themselves have done little to clarify for the public. GetEducated.com tracks more than 50 college accreditation mills, with new names popping up almost daily. As word gets out that one agency is fake, that agency simply changes the name on its website and starts back into business afresh under a slightly altered name. Special Alert: Don’t rely on a published list of “accreditation mills” to protect you. Recently, degree mills have begun referring potential students to these lists and assuring them that they are safe because their own accrediting agency doesn’t appear on these “accreditation mill” lists. What prospective students don’t know is that the degree mills are simply changing the name of their supposed accrediting agency every month or so. This way the bogus accrediting agency du jour rarely appears on any published list of accreditation mills. The laws regulating higher education are more lax in some states than in others. States with lax or non-existent laws have become diploma mill havens. Degree mills operate in these states because it is easy-as-pie for them to legally run unaccredited colleges or colleges that are accredited by bogus agencies. Incorporating in states that have lax or non-existent laws is the primary “safety hatch” employed by diploma mills. Many of these schools apply for a business license to operate in states known to have poor or non-existent educational regulatory laws and then advertise (again quite legally!) as being duly “licensed by such and such a state,” to award degrees. Lacrosse University, founded in Louisiana in 1989 to award mail order degrees, is oft cited as a pioneer in the industry both for its sheer verve and sales volume. Once licensed—but never accredited—to operate in Louisiana, rising consumer complaints eventually forced the Louisiana Education Board to deny Lacrosse a business license. Rebuked, Lacrosse packed up its post office admissions box and relocated across the great river to Mississippi. The State of Oregon, Office of Degree Authorization, has done more than any other single government agency in the last decade to try and drain the online college degree mill quagmire. Determined to rid that state of inferior educational providers and to protect its citizens from those who professionally practice with the flimsiest of paper pedigrees, Oregon launched a consumer information and protection center in the late 1990s. After problems with degree mills, Texas amended its penal code to prohibit the use of fraudulent or substandard degrees “in a written or oral advertisement or other promotion of a business; or with the intent to: obtain employment; obtain a license or certificate to practice a trade, profession, or occupation; obtain a promotion, a compensation or other benefit, or an increase in compensation or other benefit, in employment or in the practice of a trade, profession, or occupation; obtain admission to an educational program in this state; or gain a position in government with authority over another person, regardless of whether the actor receives compensation for the position.” Violation of this Texas law is today a Class B misdemeanor. Under pressure from bad press, Wyoming acted in 2007 to begin a policy that would require any college operating under its flag to either obtain accreditation from an agency recognized by The Council on Higher Education Accreditation or flip the switch on its educational operations. California, meanwhile, is embroiled in what has been described a regulatory “melt-down” as that state tries to deal with the confusing situation of state licensing of educational institutions. Diploma mills will continue to thrive, scurrying from state to state, staying one step ahead of the law until and unless all states enact clear consumer protection laws or until steps are taken at the federal level to require accreditation from a federally recognized agency for all degree-granting entities operating within the United States.